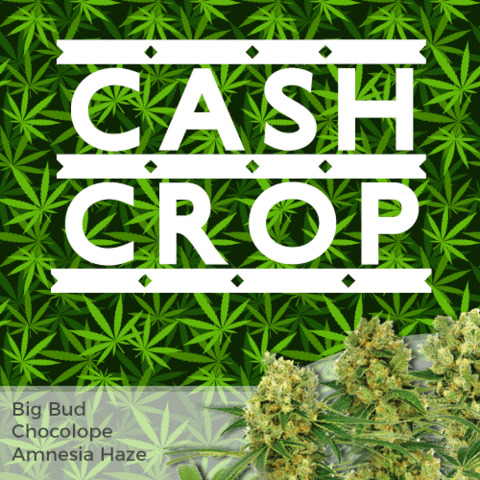 Big Bud Medical Marijuana seeds are a great choice for the indoor grower looking to produce their own high quality Cannabis. The dominant 60% Indica genetics generate large, dense buds, while the 40% Sativa influence ensures heavy yields and a long-lasting high. Originally created in the USA, Big Bud is a complex strain, retaining much of its Skunk, Northern Lights and Afghan heritage. Only female Cannabis plants produce buds, the male’s create pollen to fertilize them, creating the subsequent year’s seeds.These Big Bud Medical Marijuana seeds are completely feminized, guaranteeing you stable, female-only plants, without any male chromosomes. 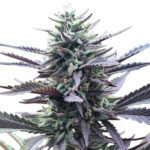 Sold as Big Bud seeds, and not as souvenirs, each and every Marijuana seed supplied by I Love Growing Marijuana is fresh, hand-selected, and of the highest quality. Unlike most seed producers, these seeds are sold to be planted, and as such, germination is 100% guaranteed. Should any problems occur, simply contact customer support who will give you all the help and assistance you require, often re-shipping extra seeds in the event of a non-germinating one. 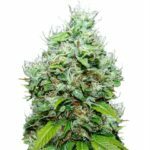 Big Bud Medical Marijuana seeds can be grown both inside and outdoors, but are generally considered a perfect strain for the indoor grower. Strong stems and large buds are characteristic of this strain, making it a perfect choice for Screen-of-Green growers, where the ‘flowering stretch’ can be better managed to produce a dense canopy. Grown indoors under good environmental conditions, Big Bud plants average between 120 cm – 150 cm tall. Good growing techniques, such as topping, bending or ‘SCROG’ will ensure a healthy harvest, with returns of 450-550 grams of large, dense buds per square meter easily achievable. 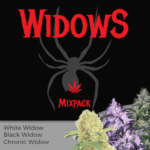 Longer vegetative times, and outdoor growers will experience greater ‘per-plant’ yields, but for the indoor grower looking for high quality, heavy harvests, Big Bud Medical Marijuana seeds are a perfect choice. Although not the easiest Marijuana seeds to grow, will a little knowledge, almost anyone can produce a healthy, vibrant crop of high quality Medical and recreational Marijuana. If your knowledge is limited, or perhaps you would like to ‘brush-up’ on your skills, download the free E book at the top of the page. Totally free and without obligation, packed full of hints, tips and information to help you grow the very best plants possible. Big Bud Marijuana is an Indica/Sativa hybrid with a complex earthy-pine flavor and a mild, but pungent, skunk-like aroma. Requiring approximately 63 days to reach complete maturity, the buds are large, swollen and dense, with a light green coloring and orange hairs. The swollen calyxes and low leaf to bud ratio make manicuring easy, with the trimmings containing plenty of resin for using to make edibles from. Big Bud Medical Marijuana generates both Sativa and Indica effects, producing a happy, relaxing high and pain-reducing body-buzz. THC levels of 16%, together with a low CBD content, ensures a long-lasting, euphoric sensation, making it a perfect choice for both day and nigh-time use. Big Bud Medical Marijuana has a wide range of uses. Proven to reduce stress and depression, it can also assist in increasing the appetite and inducing sleep. Containing high levels of Indica, Big Bud is also known for it’s natural pain relieving properties. Reports also suggest it may help with: Anxiety, Gastrointestinal Disorder, ADD/ADHD, Anorexia and Asthma. 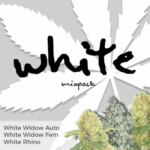 You can buy Big Bud Medical Marijuana seeds in packs of 3, 5, 10 and 20 feminized seeds. World-wide postage and super-stealth packaging are included in the price, and delivery is guaranteed. 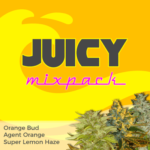 To find out more about buying Big Bud Medical Marijuana seeds online, click below.